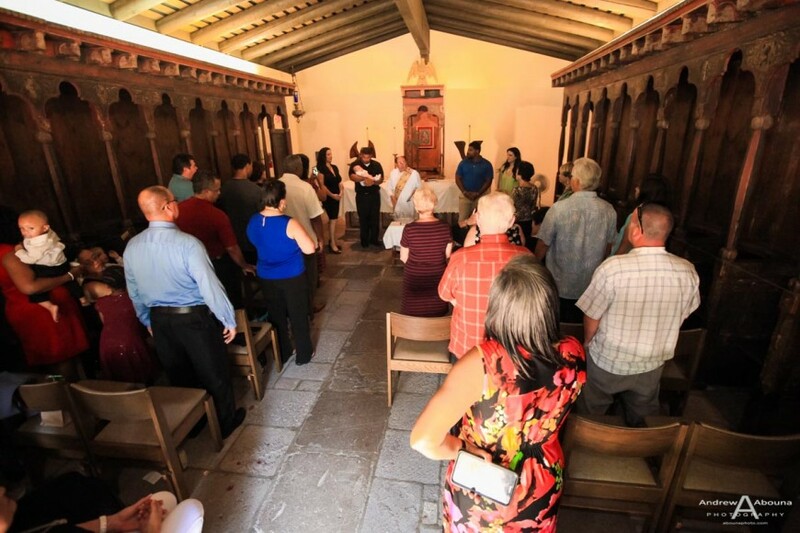 Mission Basilica San Diego de Alcala is the first of 21 California Missions. 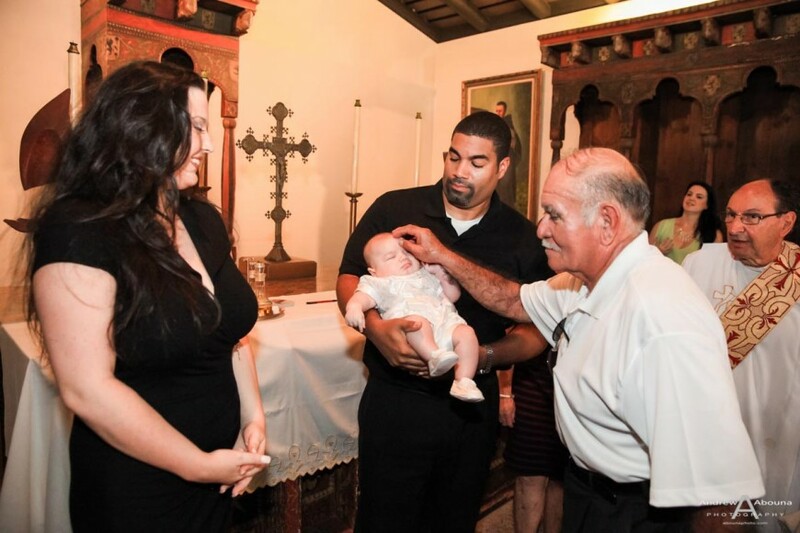 Founded in 1769 by Father Junípero Serra, it marks the birthplace of Christianity on the West Coast of the United States. 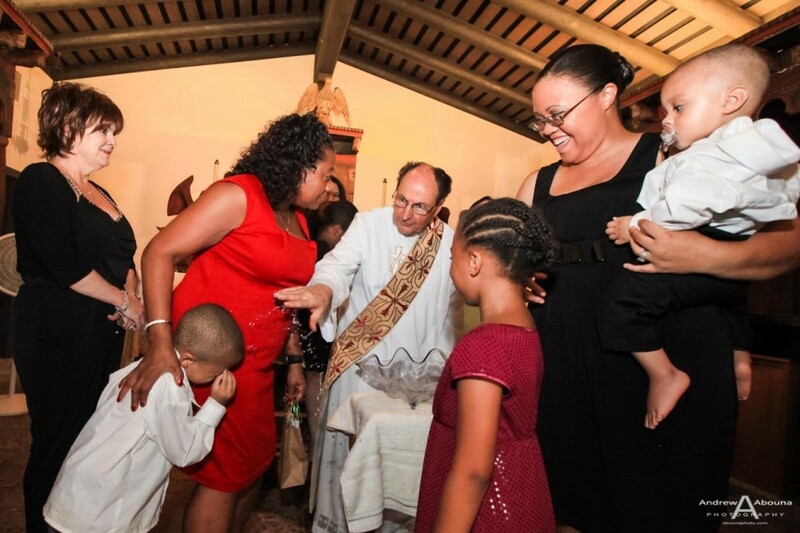 Recently Pope Francis elevated Junípero Serra, underscoring the importance of this beautiful church. 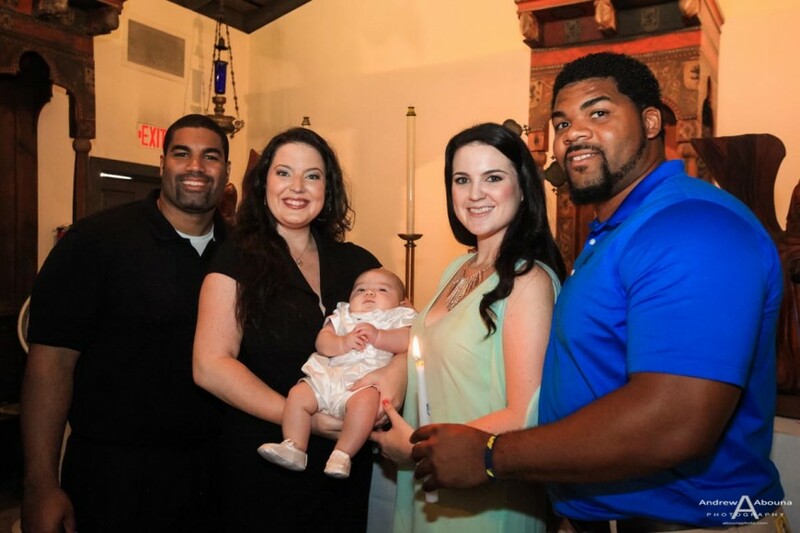 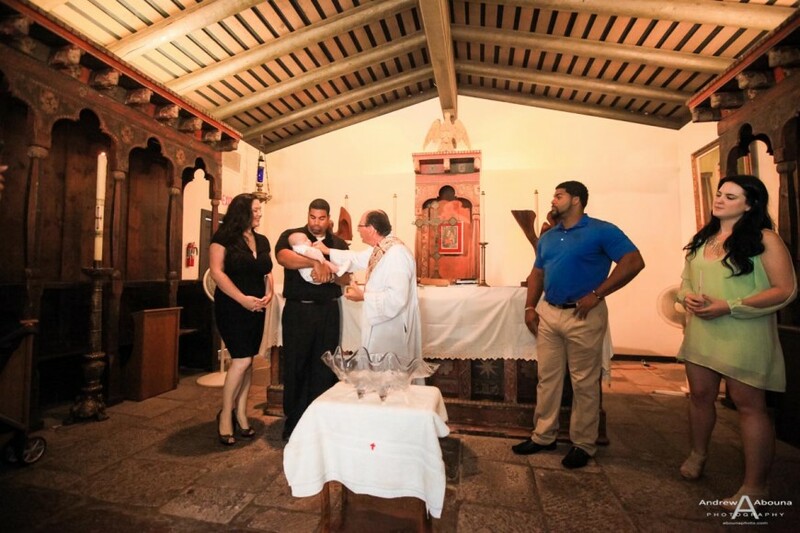 It was in the chapel adjacent to the church that another first happened, which was the christening of Baby Andre. 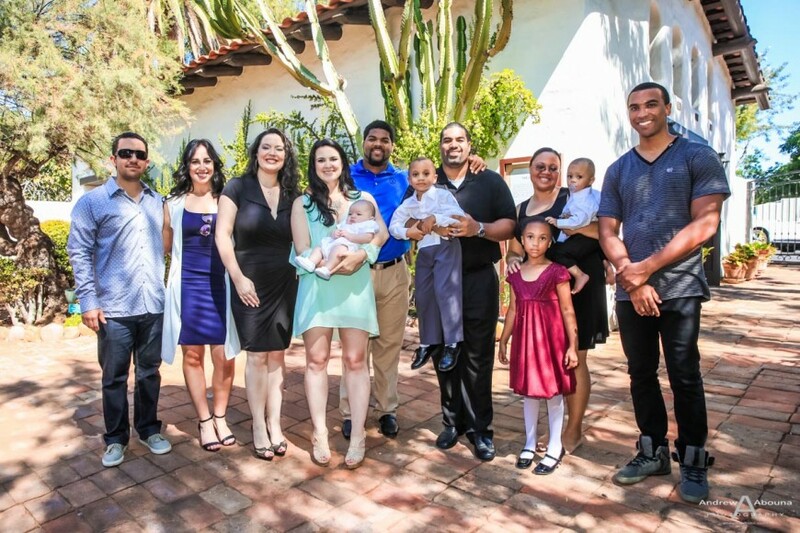 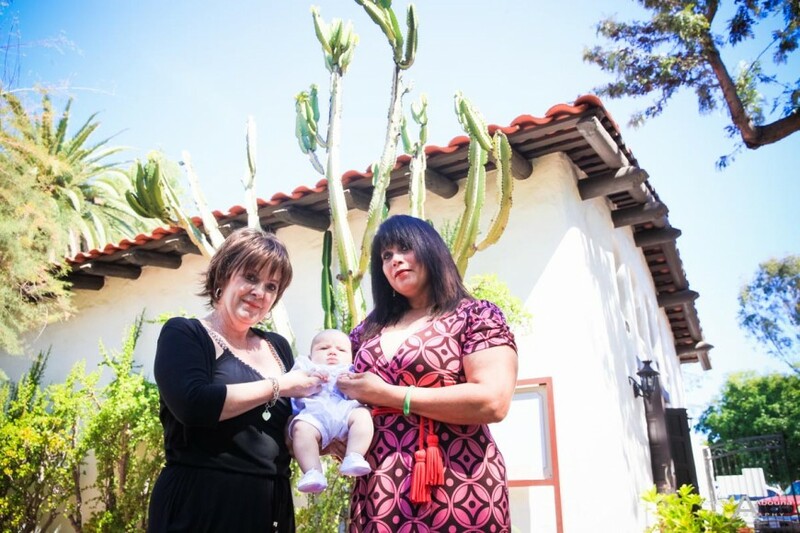 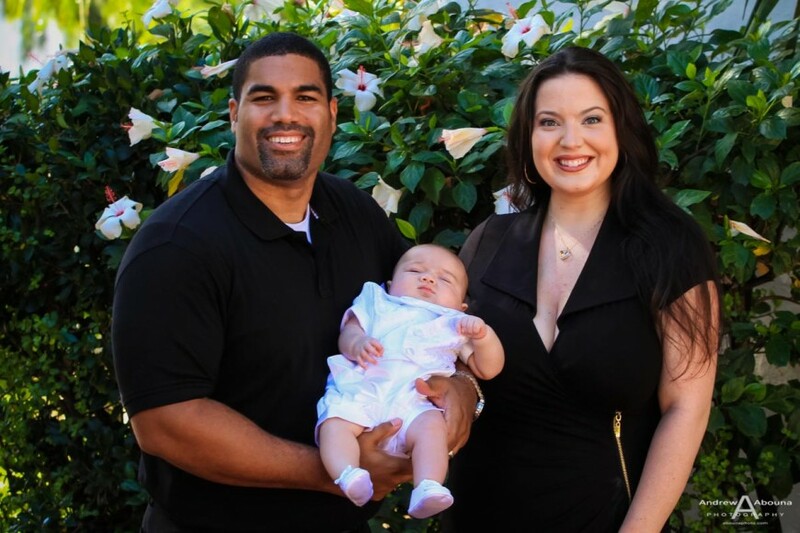 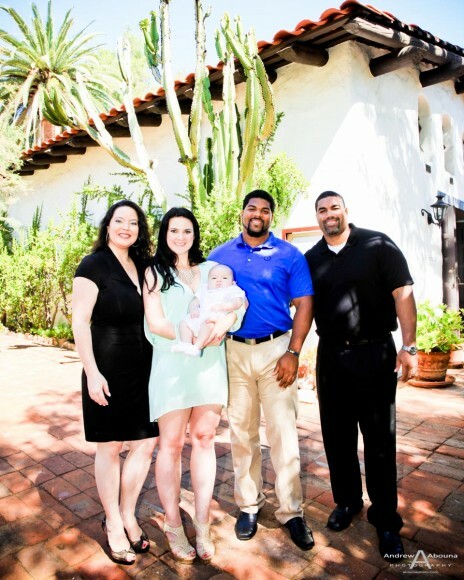 Along with by his parents, god-parents, family and friends, I had the pleasure of providing christening photography at Mission San Diego for this joyful event and portrait photography. 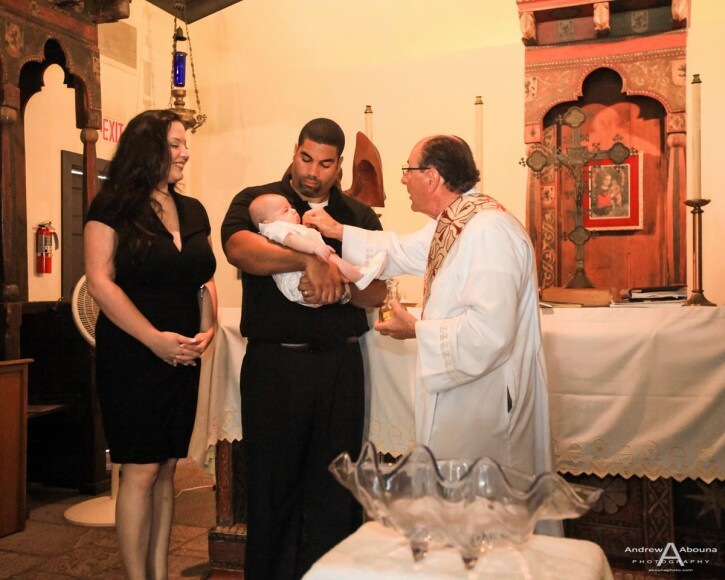 The baby’s christening photography and family photography captured most of the ceremony and gave respect to the ceremony and instructions of the church. 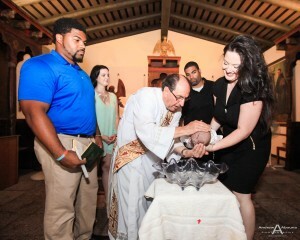 There were many highlights that the photography captured, including christening with holy water. 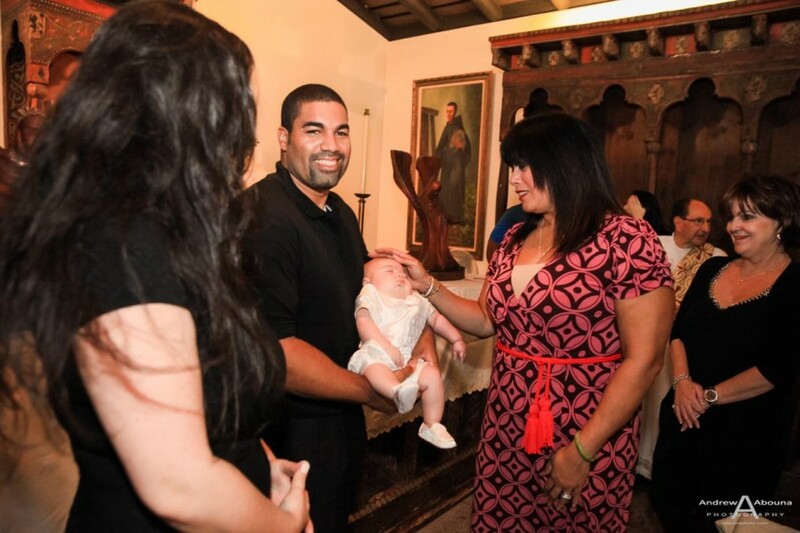 The christening photography provided both photo-documentation of the ceremony, as well creating a nice collection of posed photos for the family. 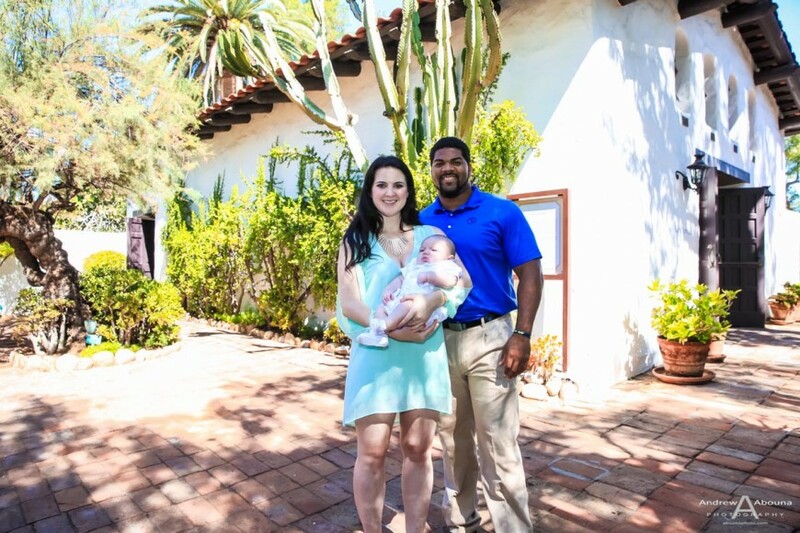 I captured the photos both inside and outside of the chapel on the grounds of Mission San Diego. 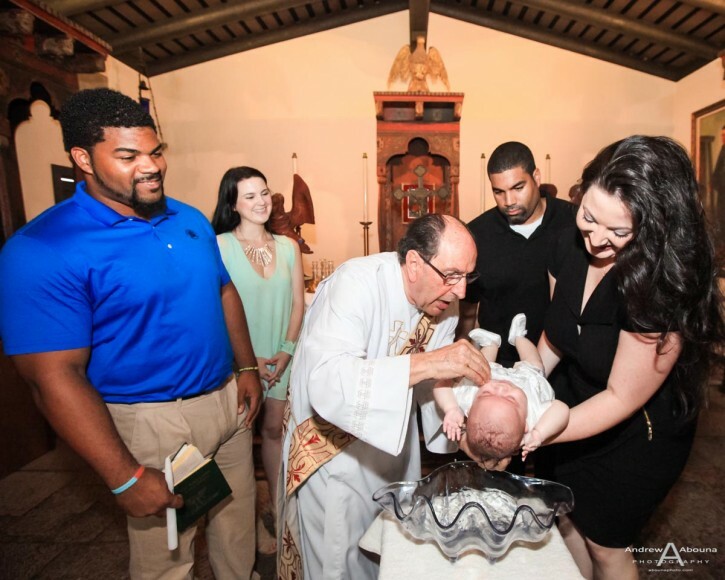 As an additional point of interest, even though the words baptism and christening are used interchangeably, there is a subtle difference. 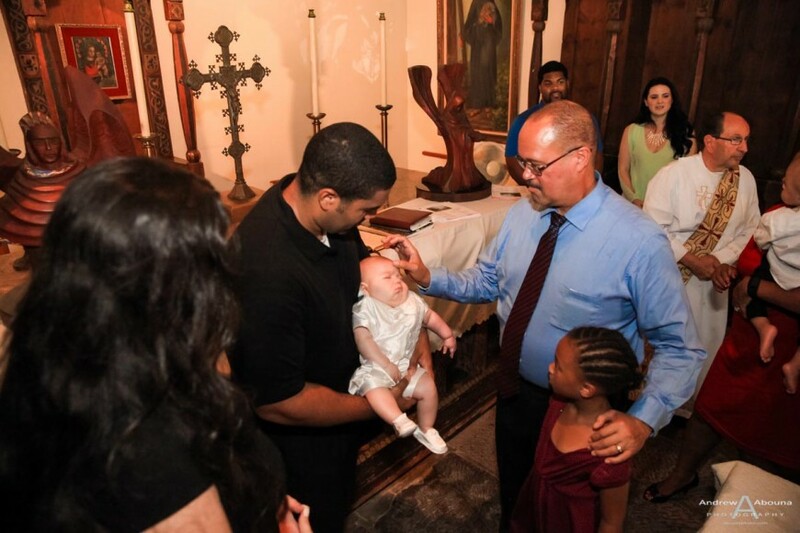 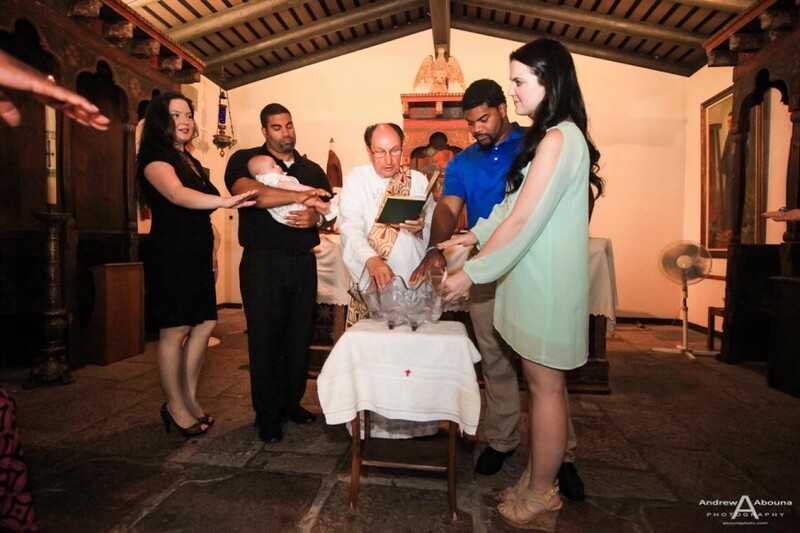 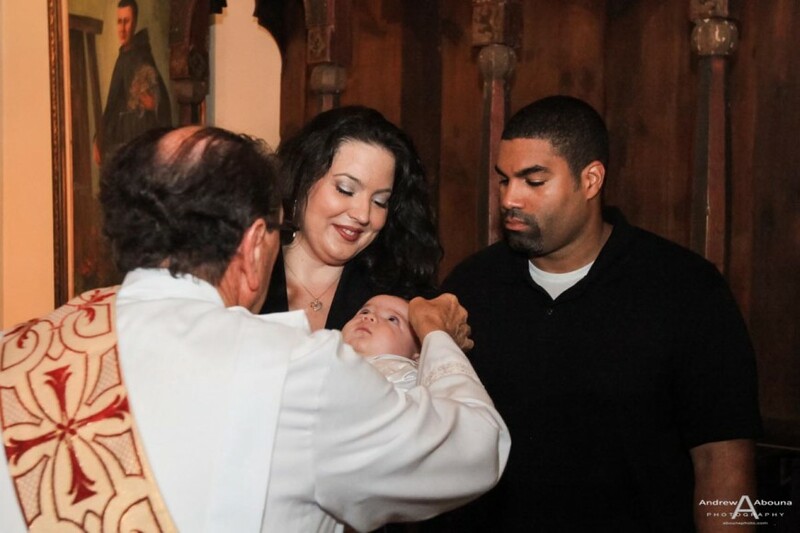 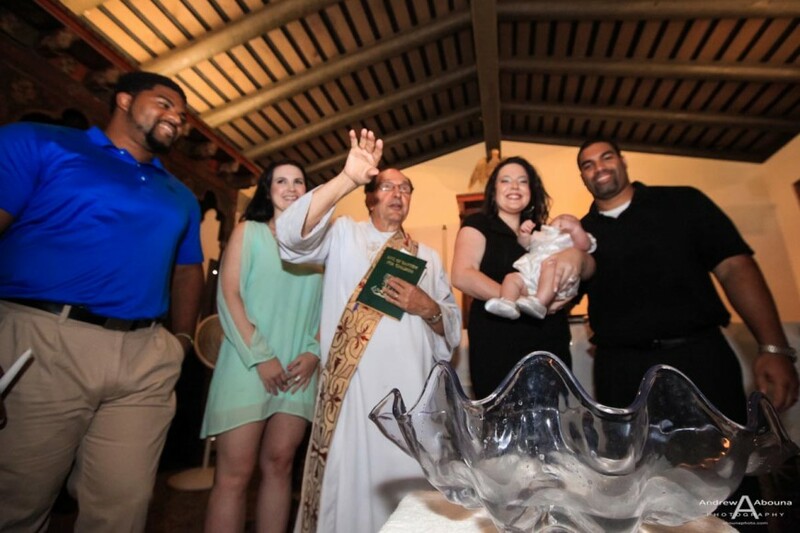 Christening refers to the naming ceremony (to “christen” means to “give a name to”) where as baptism is one of seven sacraments in the Catholic Church. 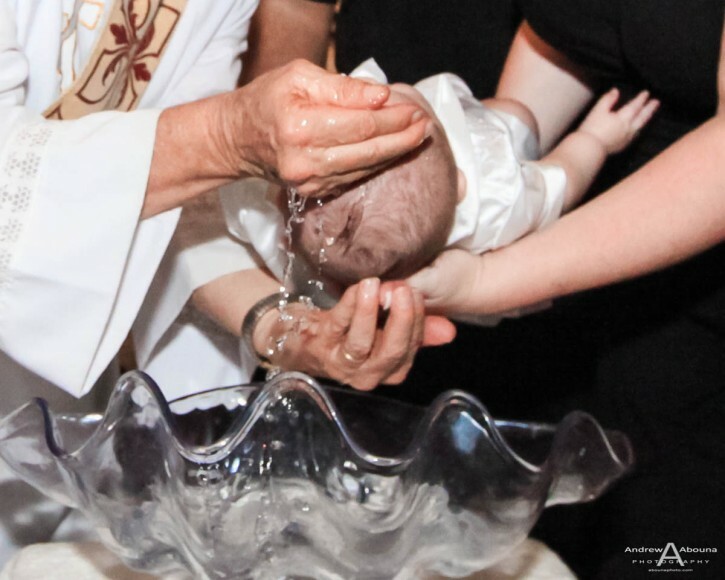 I’ve provided both christening photography and baptism photography, which you can find articles about if you search my website on either ‘christening’ or ‘baptism’. 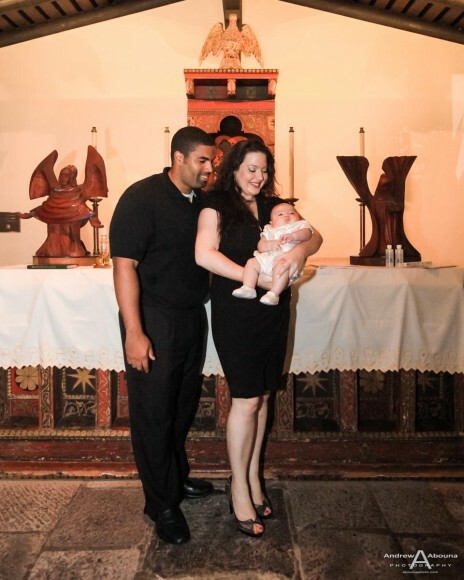 The family’s christening photography included over an hour of photography, editing of all images to ensure their best quality, a secure online gallery of all images to view and share, unlimited downloads of all images, and discounted online ordering of professional prints. 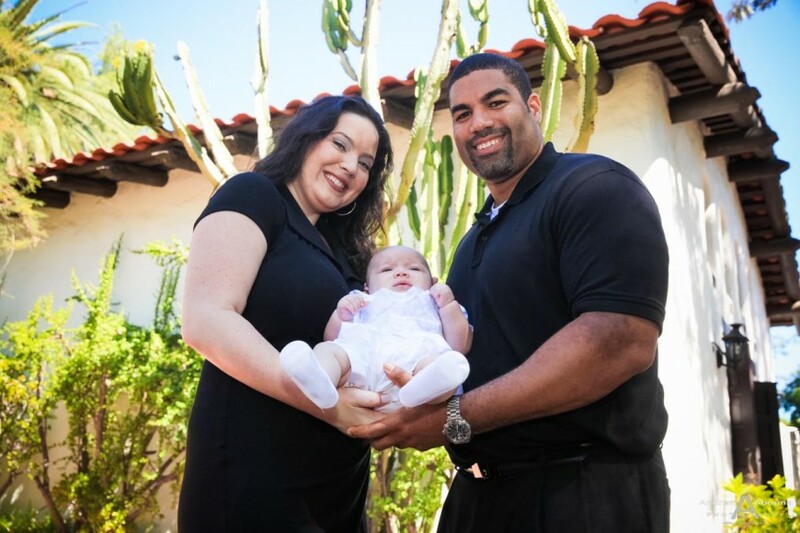 To see the complete collection Baby Andre’s photos, please visit my San Diego Portrait Photographer Client Galleries (password required). 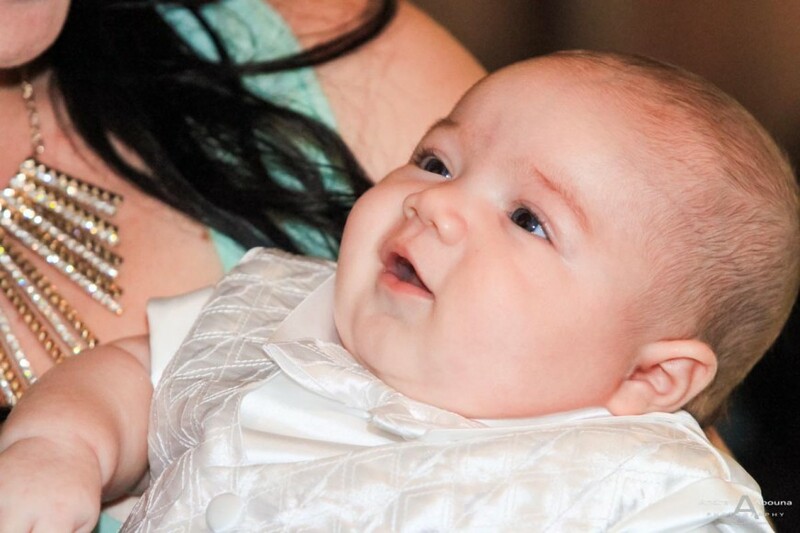 And for more information about christening or portrait photography, please contact me.